Democrat Mark Pearce is bailing after President Donald Trump nominated him to serve another five-year term on the National Labor Relations Board (NLRB). Conservative and pro-business groups fought Pearce’s nomination and lobbied the Trump administration to deny him another stint with the agency. Pearce’s announcement is a significant win for his detractors. 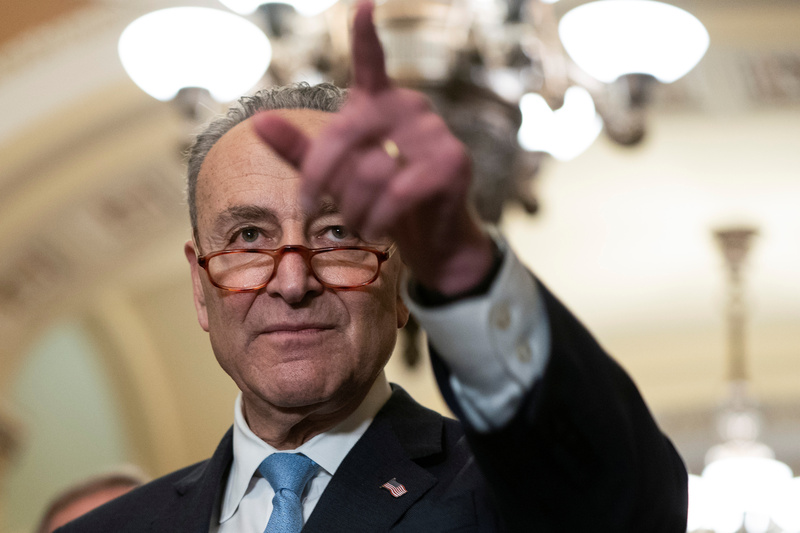 Schumer agreed to allow several Labor Department nominations to ease through the Senate in exchange for Pearce’s position, sources told Bloomberg Law in December. Hours before the White House announced Pearce’s nomination, Senate Majority Leader Mitch McConnell and Schumer struck a deal to push seven Trump judicial nominees through the Senate, The Washington Free Beacon reported at the time. Pearce was one of two Democrats sitting on the NLRB with three Republicans. The board was designed to be a partisan agency with three members from the party that holds the presidency and two members from the minority party. Pearce served as the board’s chairman under former President Barack Obama. After Trump’s election Pearce has worked, largely through procedural measures, to slow down conservative board rulings that have largely undone policies set under the Obama administration.